After the 964 Porsches, these have by far my favorite silhouettes. When was the last time you found a quiet place to disconnect? The kind of quiet that puts you in a daze and time seems to stand still. Gah! I feel like I caught this guy in the middle of one of those perfectly peaceful moments. I love witnessing people create little segments of quiet in their daily lives. 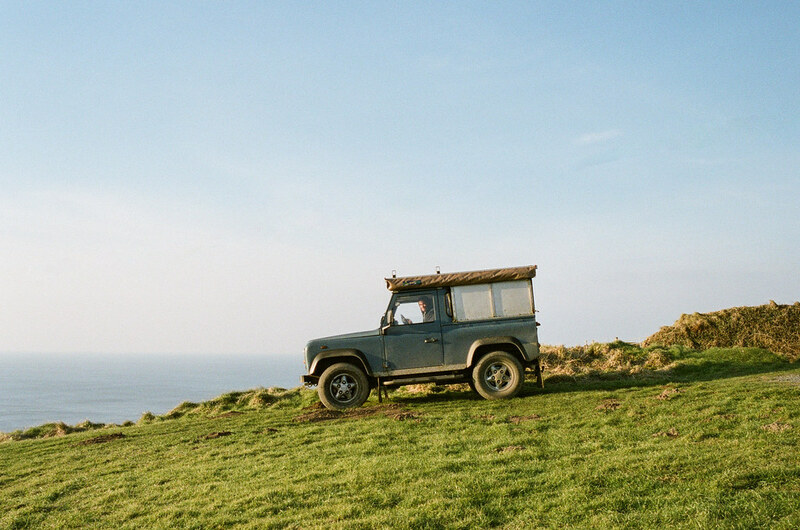 I came across this surfer in his Land Cruiser atop a cliff in Hartland Quay. He was lost in his own world looking for the perfect set of waves. 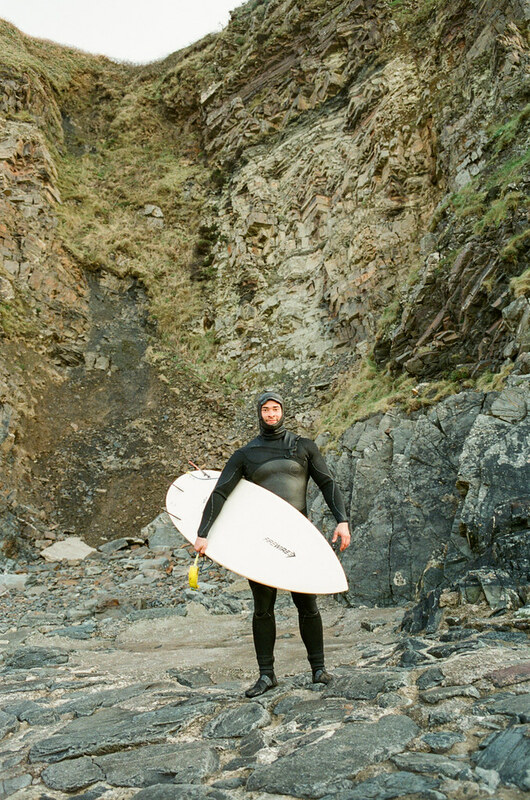 When the waves started to pick up, he drove his FJ down the side of this cliff, changed into his wetsuit and ran down to the water with his board. 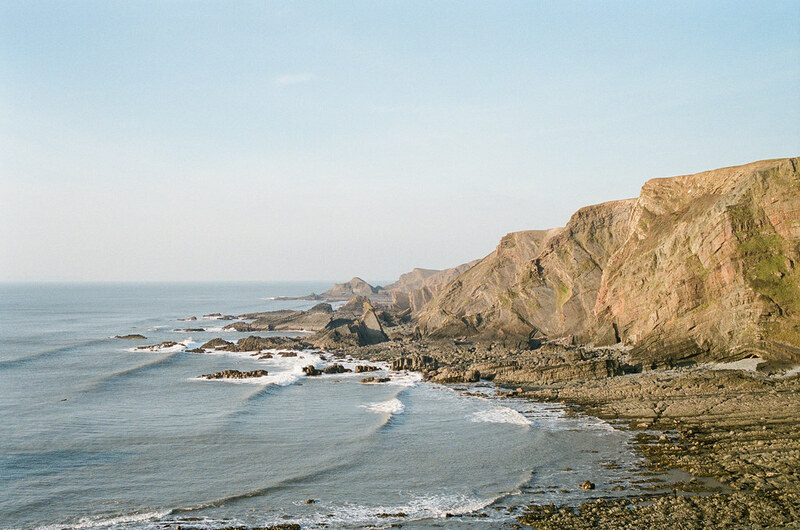 I had exactly 3 frames left on a roll and here are all of them. Also, these first two photos are available for print if you click on the shopping cart icon to the right of the images. This was the vantage point from atop the cliff.